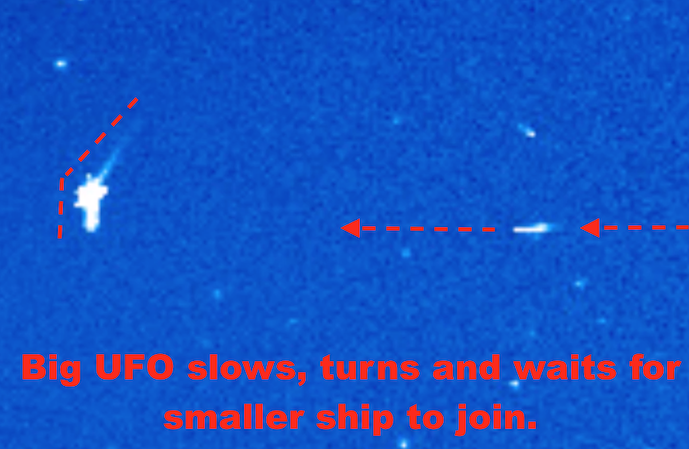 UFO SIGHTINGS DAILY: Two Craft having a Rendezvous at Point L1 one million miles away from Earth, Video, June 19, 2016, UFO Sighting News. Two Craft having a Rendezvous at Point L1 one million miles away from Earth, Video, June 19, 2016, UFO Sighting News. I have to admit that its does look like one ship has turned 45 degrees and waited for the other ship to arrive. The smaller ship is about 20% that of the larger vessel. Very cool observation and catch by Streetcap1 of Youtube. 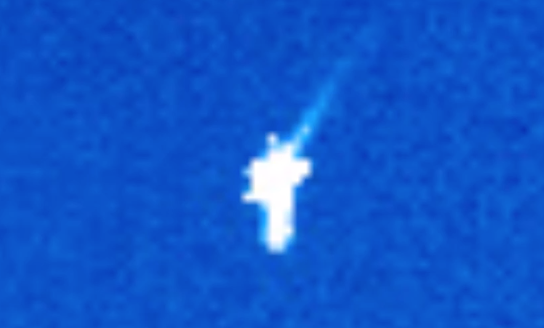 This looks like Two Craft having a Rendezvous at Point L1 one million miles away from Earth. 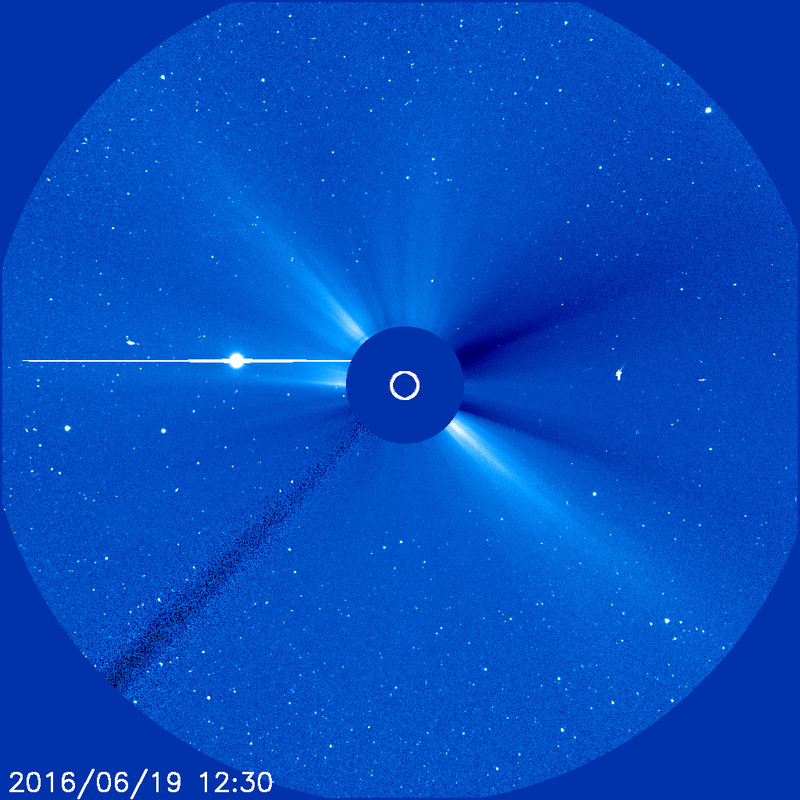 Picture by SOHO Satellite Camera Lasco C3. Streetcap1.